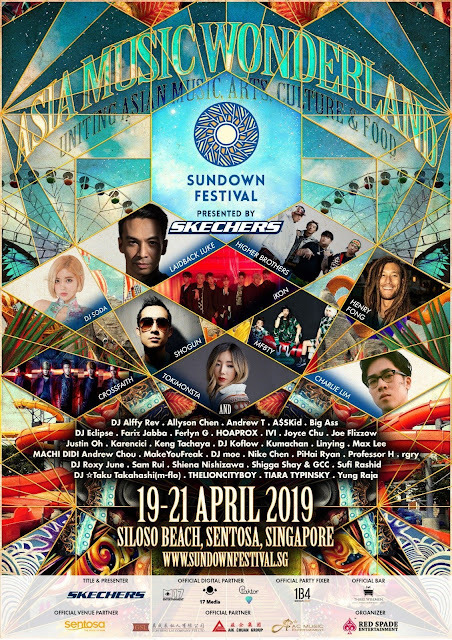 Asia’s definitive music and arts festival, Skechers Sundown Festival is back in Singapore for its 10th edition, featuring more than 50 music artistes on 3 stages over 3 days. 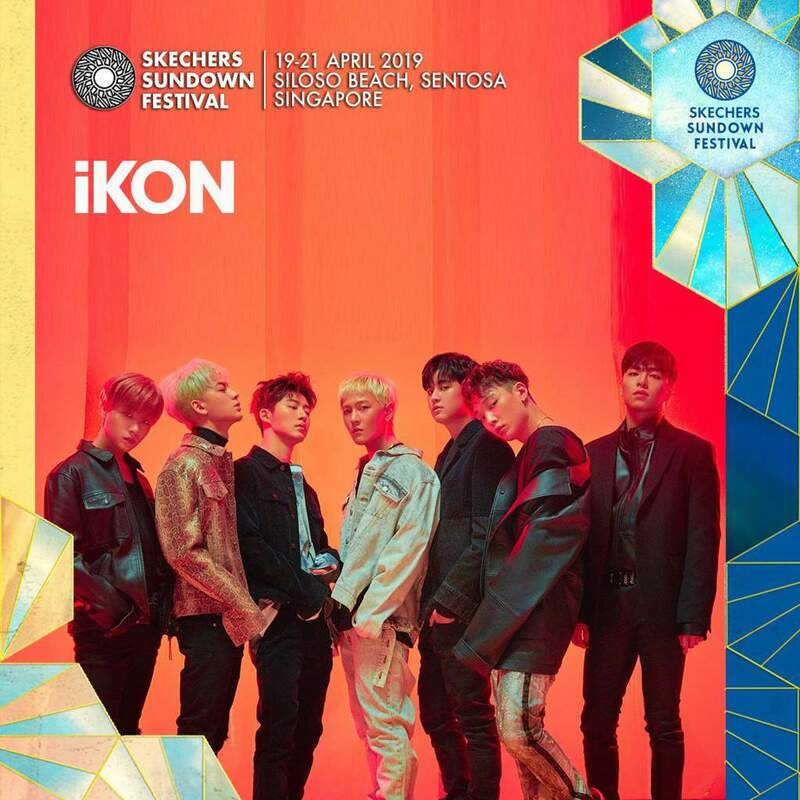 Mega KPOP star, iKON is set to perform on 21st April which is the 3rd and last day of the festival. 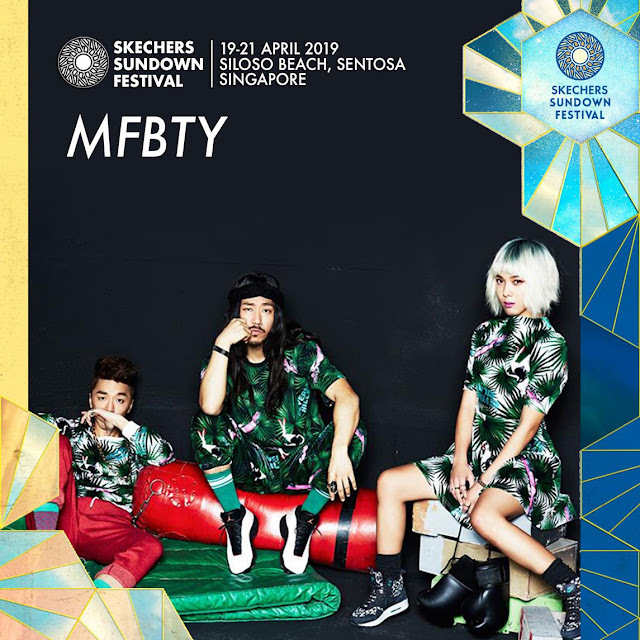 Korean hip-hop trio MFBTY (Tiger JK, Yoon Mi-rae, Bizzy) and DJ Soda however will join the festival on 20 April. Tickets can be purchased at www.sundownfestival.sg. All participants must be at least 16 years of age. Organised by Red Spade Entertainment and presented by Skechers, the festival's tagline, “Asia Music Wonderland”, aims to unite people with curious and imaginative spirits. Designed for anyone with a love for Asian music and its diverse entertainment scene, the festival is programmed to celebrate all things Asian, and promote its values and spirit during the 3D2N event — through music, food, art, and culture. With more than 50 Asian artists at the NC-16 festival, and fronted by veteran music artists, the stages are set to be lit. Look forward to the heavy metal prowess of Crossfaith (Japan) and DJ Laidback Luke (Philippines), hip-hop tunes from MFBTY (South Korea) and Higher Brothers(China), and the melodic crooning from Charlie Lim (Singapore). 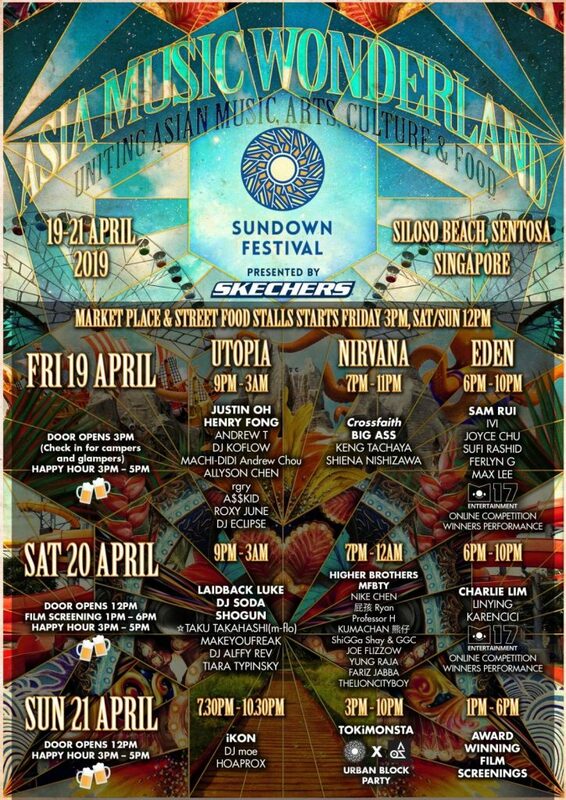 Other performers include DJ KoFlow (Singapore), DJ Shogun (Taiwan), Henry Fong (China), and many more artists listed on www.sundownfestival.sg.